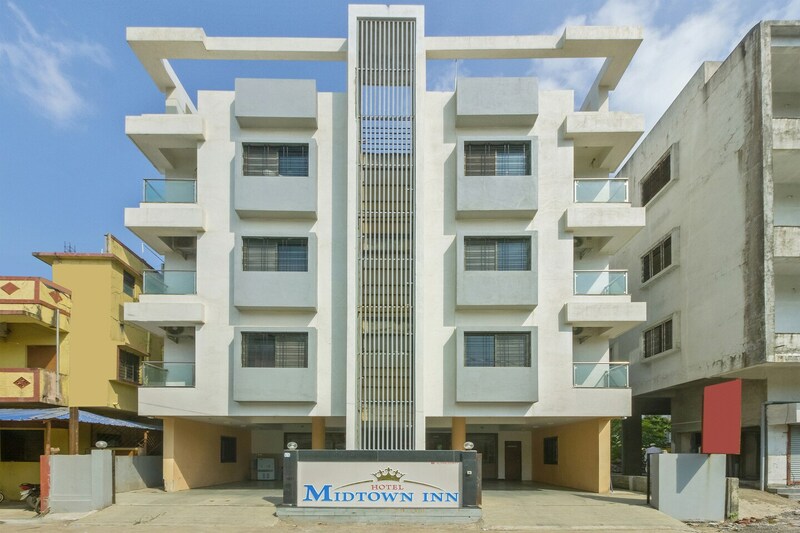 Located in a very convenient location, Hotel Midtown Inn is a wonderful hotel that provides countless facilities along with comfortable accommodation options. It is located in the Trimbakeshwar locality of Nashik. The rooms are very spacious, and large windows have been provided in each room. These windows allow a large amount of sunlight and a lot of fresh air into the room. The windows have been provided with grills. The interior decor is of the minimalist nature and the color combination used is soothing. A number of wooden elements have been used throughout the room. The additional facilities provided by the hotel are parking provisions, a constant power backup source, and laundry provisions. The front desk service is located close to the entrance and is managed by experienced staff. The hotel is located close to a number of utilities such as the Ram Kund, Sita Gufa, Sula Vineyards, New Punjab, Hotel Panchratna, Manas Restaurant, Veg Aroma, Pinnacle Mall, Nilesh Mall, and Music World.